Dozens of people are dead, while buildings shook as far south as Rome. Editor’s Note — August 24, 2016: As of Wednesday morning, the death toll being reported by Italian media has climbed to 73. With many people still unaccounted for, that number is expected to rise in the coming days. 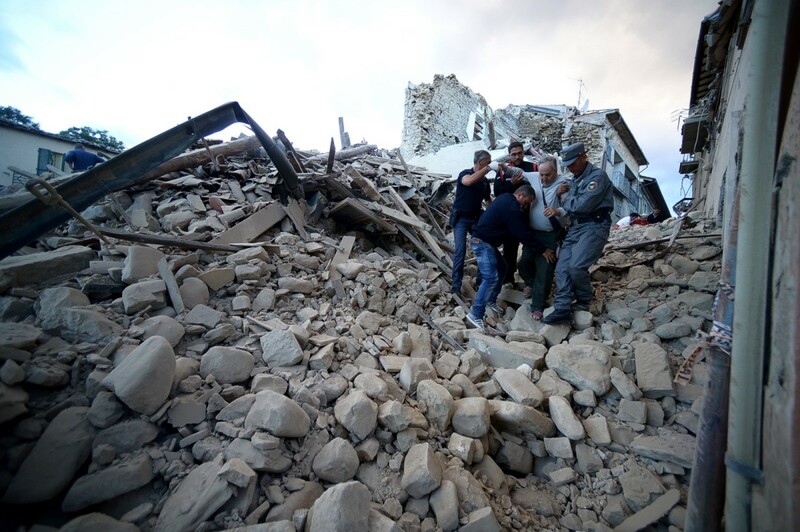 Earthquakes struck Central Italy on Wednesday morning, killing dozens of people and trapping others under debris, the New York Times has reported. The first, a 6.2-magnitude quake, struck near the town of Accumoli around 3:30 a.m. local time. It was the strongest of the day. “Half the town no longer exists,” said Amatrice Mayor Sergio Pirozzi, per the Times. 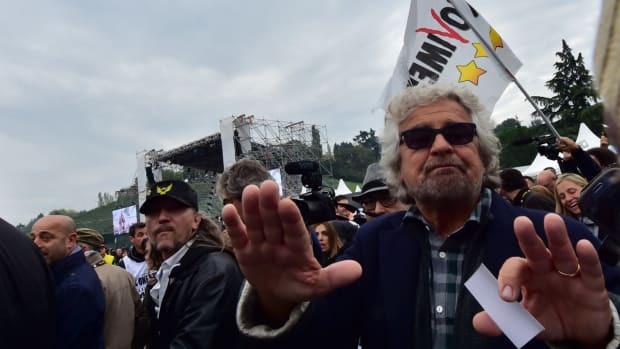 In this case, the Tyrrhenian basin — the area between Sicily and Sardeninia — is expanding, pushing Eurasia towards Africa faster than the Eurasian and African plates can compress. At the location of the Earthquake, the Eurasian plate moves northeast at about 24mm each year. Eventually the tension builds up, and is released as the plates slide over one another. In this case, as has been reported, the first main quake was significant, being measured at magnitude 6.2. In the wake of natural disasters, an abundance of homes, buildings, communities, and cities are left in ruins, a crumbled version of their former selves. Tragedy on this scale gives cities the unenviable but unique opportunity to rebuild — in some cases to start from scratch. The damage inflicted by the Great Chicago Fire of 1871 allowed the city to rebuild into what many consider one of the best designed cities in the world. 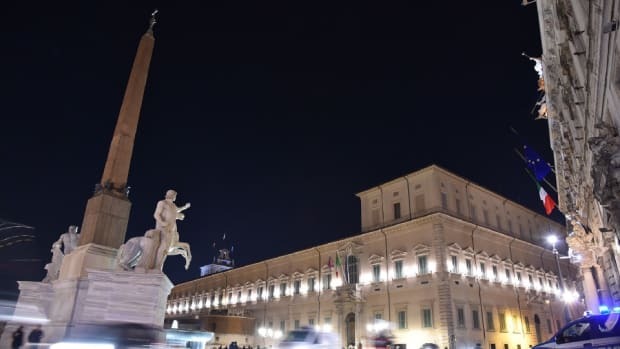 La Repubblicareports that some buildings in Rome—nearly 100 miles away from the quake—shook for 20 seconds. 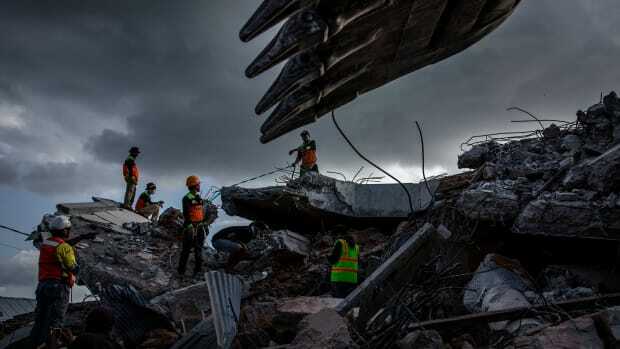 An Indonesian search-and-rescue team looks for victims under a collapsed mosque following an earthquake on August 7th, 2018, in Lombok Island, Indonesia. 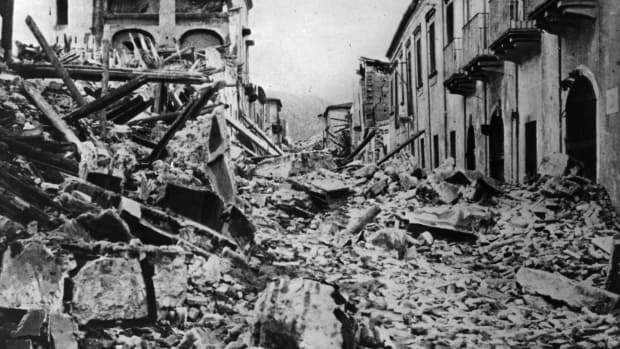 A view of Messina on December 28th, 1908, shortly after the terrible earthquake that destroyed two-thirds of the Italian town. There were 126,000 victims, more than 66,000 from the town itself. 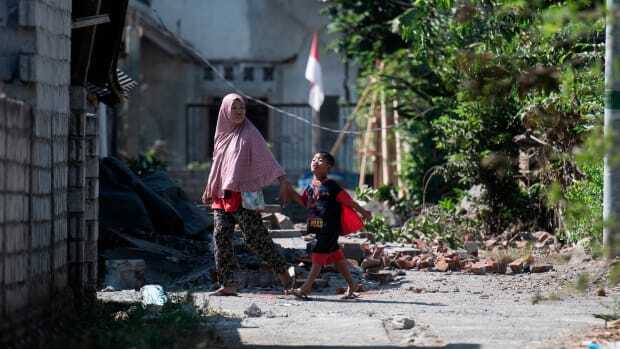 Residents walk among debris in the village of Sugian on Indonesia's Lombok Island on August 21st, 2018, after a series of recent earthquakes. 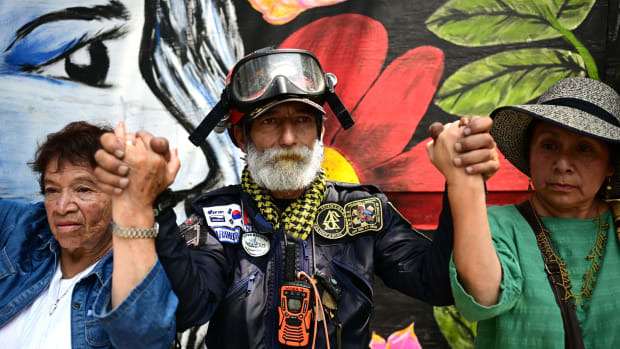 People pay homage to earthquake victims in Mexico City on September 19th, 2018, on the anniversary of two deadly earthquakes.